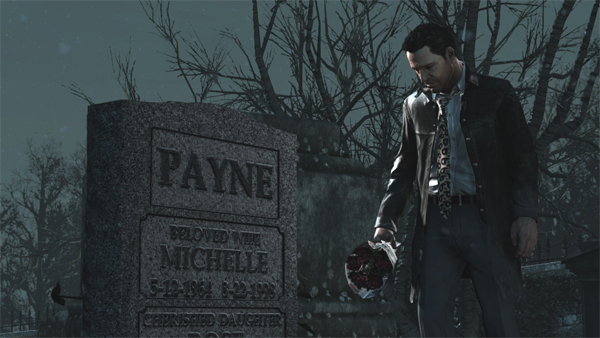 This post follows from my previous meanderings on Max Payne. 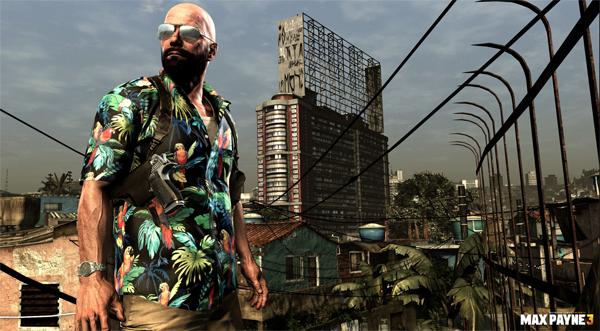 For those who have not played Max Payne 3, beware: there will be spoilers. While I am not an outright fan of explicit violence in modern media, I’m not particularly squeamish either. I have no interest whatsoever in the gore extravaganza of much modern horror, but neither am I put off by the viscera of some of Tarantino’s more recent offerings, and some of the TV series (e.g. Rome or Game of Thrones) I’ve enjoyed most over the last couple of years don’t skimp on the red gushing stuff. And yet, Max Payne 3 almost made me switch off the game, not just once but twice, due to the brutality it depicts. And this is in no way an indictment of the game. Max Payne 3 is a brutal game – and more than any shooter I’ve played it does a remarkably horrid job of showing what bullets do to bodies. Does the game revel in showing exit wounds? I think I’d be lying if I said it wasn’t – MP3 does not present its violence with the frat boy, fist-pump glee of other games, but it has a fascination for showing the damage done, both to people and to interior (and exterior) decorating, in slow motion. So much so that checking out some of the videos on YouTube makes me queasy – less with the game than with the Beavis and Butthead-ish tone of the video description and comments. But it’s not so much seeing the carnage I’m authoring that made me wince, at least not after the first ten minutes or so. (There is definitely something numbing to seeing henchman after henchman dying horribly at the business end of my gun – and it’s this repetitiveness that’s a major flaw of the game in my opinion.) It’s two key scenes: in one, I finally find the beaten, bleeding trophy wife of a São Paolo business man earlier abducted by a favela gang, only to see one of the gangbangers put a bullet through her head. In another, the business man’s brother is covered with petrol and burnt alive. The game has previously shown the man as shallow, narcissistic and rather pathetic – but the way the game depicts his death got to me, and quite possibly more so than a similar scene would have in a film. I don’t want to get into the question here of whether games are becoming too violent or whether people are desensitised to real-life violence and cruelty due to watching brutal films or playing violent games. That question is much bigger and deserves a longer discussion in a wider forum. What I’m interested in is this: why did these two scenes get to me to the extent where I wasn’t sure I wanted to continue playing (keeping in mind, as I’ve said, that I’m not all that squeamish)? Many games use this in a frustrating way that feels like the program is cheating, in revenge for decades of players using hidden cheats and God modes to become invulnerable. Think you’re all-powerful, gamer? Take that! Ooh, that must’ve hurt! The two scenes in Max Payne 3 that I mentioned earlier (and there are others, although none as pointed) may have an element of this, but I think the game is being cleverer than that: Max Payne, from the first game onward, told a story about revenge and redemption. I’m not sure to what extent it manages the latter all that well, although there’s a lot of quasi-Noirish verbiage in the game about it – but especially Max Payne 3 never lets you forget that the revenge you’re effecting is finally hollow. Yes, you might get to kill hundreds of bad guys in bloody, bone-crunching ways, but Max’ loss is the constant foil through which the player views this revenge. For every henchman killed, for every villain stopped, Max’ wife and child is not a single bullet closer to being alive. For a game that’s entirely about revenge and redemption, it’s bleakly ironic that revenge is shown to be pointless and redemption all but impossible. 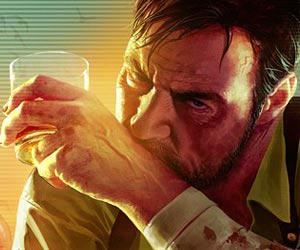 Max Payne’s extended trauerarbeit (and I don’t think this is wankerish pseudo-analysis imposed on the game – every second line of dialogue is about Max’ ongoing, futile quest to find some sort of meaning in a life that’s had all meaning shot to hell), like the hundreds of painkillers he keeps popping, only serves to dull his pain momentarily. I’m not saying that Max Payne 3 is a deep, philosophical treatment of mourning, revenge and the futility of redemption – but it does address these issues within the rules it has set up for itself… and, like Rockstar’s earlier Red Dead Redemption (although my vote still goes to RDR for doing more interesting, complex things with the theme) it goes a long way to disabuse the player of this crazy idea that just because he’s got his finger on the trigger he can make everything all right.